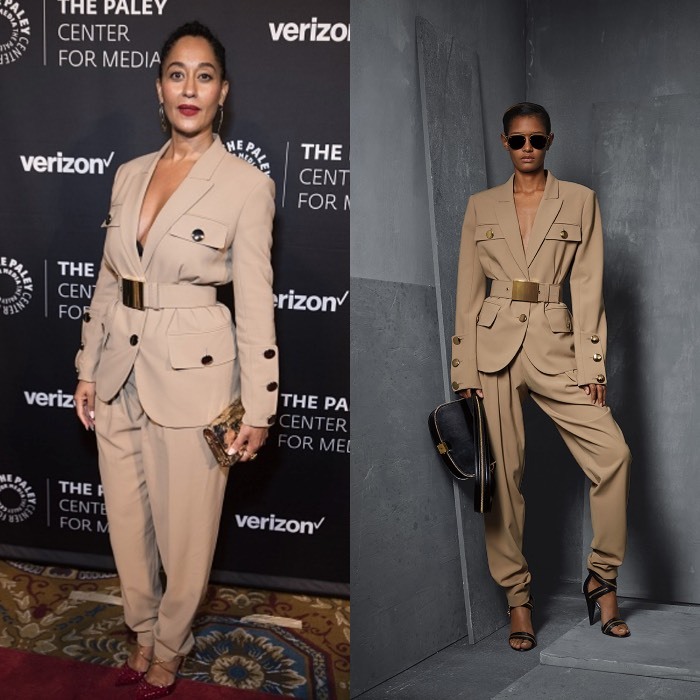 Tracee Ellis Ross attended the “The Paley Honors: Celebrating Women in Television” at Cipriani Wall Street in New York last night wearing a safari-inspired suit from Michael Kors Pre-Fall 2017 collection. The Black-ish star paired the look with with red and gold spiked Louboutin pumps and a Jimmy Choo clutch. 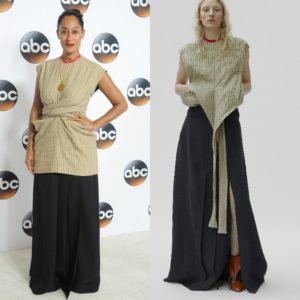 Tracee Ellis Ross Wears Céline Pre-Fall 2017. 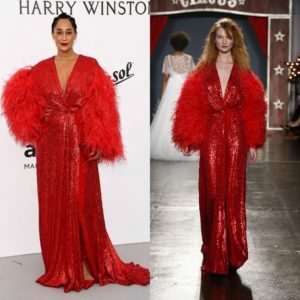 Tracee Ellis Ross Wears Schiaparelli Spring 2017 Couture.